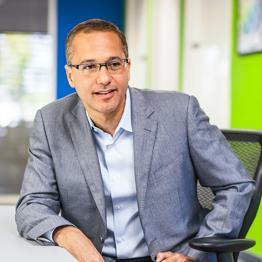 Omar Tawakol is a leader in Silicon Valley and sees revenue in data. His intellectual blend of technologist, marketer and innovator are unique in a business that is mostly driven by marketing expertise. Omar earned a Masters of Computer Science from Stanford University and a Bachelor of Engineering degree from MIT. While at Stanford, he was a computer science researcher at both the Stanford Logic Group and HP Software Labs. Omar’s research on context for computer agents was published in the American Association of Artificial Intelligence. Omar is the co-founder and CEO of BlueKai, the industry’s leading data activation system that supplies both Fortune 100 companies and leading publishers with solutions for managing and activating 1st and 3rd party data for creating highly effective customer and marketing campaigns. Omar’s previous roles include Chief Advertising Officer for Medio in the Mobile space and Chief Marketing Officer for early behavioral targeting leader Audience Science. Omar started his career in the data world at data integration leader Informatica. His fresh take on technology in terms that every CMO can understand are regularly on display at events and resonates within some of the largest brands in the world.